How is an inverter different from a UPS? How should I select the right size inverter? What is advantage/ disadvantage of 12, 24, 48 volts? How do I know if my inverter is defective? Has my inverter the Ingress Protection Marking(IP Level)? What is an on-grid or grid-tied inverter? What is an off-grid inverter? What is an hybrid inverter? Why would I need an external solar charger? How do I qualify for a partnership with OPTI Solar? I'm a new one in solar market, how do I get the technical training ? What support can I get from partnership? How long is my inverter covered? How can I tell if my inverter is still under warranty? How can I get support if my inverter is out of warranty? How do I find out the serial number of the inverter? What are the different photographs to be attached along with the warranty claim form? How do I know that I am buying from OPTI Solar authorized retailer? If I bought an inverter from eBay or some auction/exchange website, do I still have warranty? How do I install an inverter? What is the battery configuration? What size cables should I use? How can I D.I.Y the solar system? Do your inverters have high and low battery voltage shutdown? Can I connect the diesel generator as the utility input source? An inverter takes DC power (from a battery or solar panel, for example) and converts it into alternating current (AC) for running electronic equipment and appliances. UPSs also can have communication with the equipment that it is powering, which lets the equipment know that it is operating on standby, giving it shutdown warning. Inverters typically don't have this communication. First add up the power ratings of all your appliances, then buy the next larger inverter. Some appliances, such as refrigerators, and microwaves have a surge requirement. Opti-Solar inverters are designed to supply such surges, but since every appliance has its own requirements sometimes you will need to get a bigger inverter than you might think. Higher voltage battery bank can be more efficient, due to smaller cable sizes which can lead to less current, less voltage drop and less heat. Also, higher voltage battery banks typically have multiple batteries in series to increase the voltage; this increases the amount of charge and discharge cycles your batteries are capable of handling. However, lower voltage battery banks are typically used for smaller systems and these battery banks may be less efficient and may consume more DC power than higher voltage systems. In addition, at a given power rating a 24 volt inverter will need half the current as a 12 volt inverter. This makes the entire system more efficient, and since high current transistors are expensive, the inverter will be cheaper. When an inverter is defective, a fault code appears on the inverter LCD or a fault light on the LED which is generally red. Yes. Most of our inverters have an IP level. To have more information about it, please take a look at the inverter specifications. 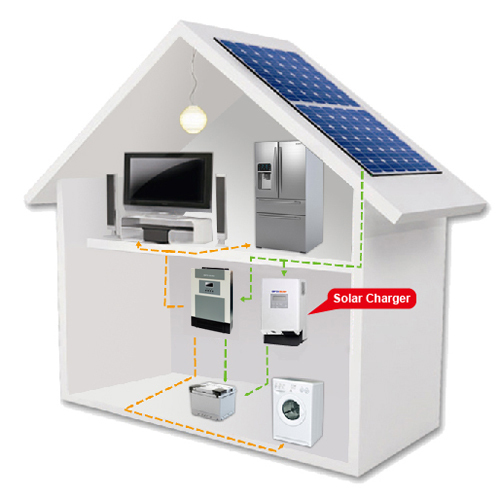 An on-grid solar photovoltaic system refers to a system, which is only connected to a utility grid. When solar energy is available, the system will sell the energy which generated by the sun back to the utility grid. A standalone photovoltaic system refers to a system, which is not connected to the utility grid. The electricity you consume comes solely from energy generated via PV arrays. These types of systems store the surplus of energy in batteries. A hybrid solar photovoltaic system is a combination of solar & grid power technology to take the most advantage. If the energy produced via PV arrays is enough for household consumption, the inverter will use PV energy and charge the surplus to the battery. Likewise, if consumption exceeds PV energy, the inverter will take extra energy from the utility grid. In absence of sun, the inverter will, depending on energy consumption, use energy solely from batteries or take energy from the utility grid. MPPT (Maximum Power Point Tracking) is a key technology to harvest the maximum amount of energy from a solar panel. As sunlight intensity varies depending on the climate, time of the day, and seasonal change, the output voltage and output current of the solar panel under the sun also changes. The output power from a solar panel is the mathematical product of its output voltage and output current. Typically, it takes a sophisticated digital signal processor (DSP) to try, sample, and calculate many operating voltage and current combinations before a maximum power point is identified. This kind of perturb-and observe MPPT algorithm is time-consuming and in many cases, may lock into incorrect operating point. In contrast, OPTI-Solar uses an advanced analog MPPT algorithm. It does rely on conventional perturb-and-observe time-consuming method. It locks in the maximum power point in less than 1000th of a second. With this ultra-fast MPPT algorithm, the solar charger can spend 99.9% of the time charging the battery and harvesting the maximum power possible from the solar panel. It uses only 0.1% of the time updating the present sunlight condition and re-calculate the maximum power point. As illustrated below, solar MPPT can track the maximum power combination of 17.2V and 5.8A(99.7W). Charge controller without MPPT can only obtain power combination of 12V and 6.2A(69.6W). Pulse Width Modulation (PWM) is effective means to achieve constant voltage battery charging by switching the solar system controller's power devices. When in PWM regulation, the current from the solar array tapers according to the battery's condition and recharging needs. charging efficiency, rapid recharging, and a healthy battery at full capacity. PWM solar charger will benefit you receive more solar energy acceptance and keep your battery longer life span. Solar chargers are required for higher charging capacity, max efficiency and customized functions solar systems. It also regulates the voltage/current sent to the battery to prevent it from overcharging. Usually use it when you want more solar energy. How do I qualify for a partnership with OPTI-Solar? Anyone trained on our solar products is qualified for being our partner in his region. However, knowing that the partnership with Opti Solar is about products distribution, it is possible to send us a mail for this matter and attach your company profile. For long time partners, the payment terms can be negotiated such as discounts on our products, official recognition on our website to gain local customers trust. It is possible to arrange a training session by contacting us. The training sessions we organise are held in Taipei, Taïwan. It means that the potential trainee should be able to pay his flight ticket and accommodation fees in Taïwan. However, for long time partners, the accommodation fees can be negotiated. Except the official recognition, it is possible to have some marketing materials (tee-shirts, pens, bags, etc) in order to improve the sale. The warranty covers the products reparation, replacement and refund if needed. Usually, we offer 2 years warranty for the inverter unit. The receipt can help to say when the product has been purchased. This can help to know if the product is still under warranty. Otherwise, the customer can contact the distributor who sold him the inverter. If the customer didn't buy his inverter with Opti Solar, we cannot tell if the product is still under warranty. The reasonable way is to contact the distributor who sold the inverter to you. On the box's side or the inverter's side. Take a picture of the LED and fault code on the configuration panel, and also a picture of the serial number sticker. It depends on the warranty status of the inverter you bought. - Situation one: "My house doesn't have access to the national grid and I want electricity for my kids to have light to study at night." In this situation, we would recommend you to get an off-grid Inverter with battery packs for sustained electricity at night. - Situation two: "I have access to the grid but I don't want to depend on it in most time, since it's too expensive, meantime, the power backup system is also required." In this situation, a Hybrid Inverter is recommended. On sunny days, you will consume the energy produced via PV arrays. This inverter also connect with batteries for power backup. PV will charge batteries as well. Low PV power or at night, the inverter will switch it's input power source to the utility grid. - Situation three: "Solar energy is most green solution, I want to use it to support my daily electricity, besides, the surplus solar energy can feed into utility grid for benefit. In this situation, we strongly recommend our On-Grid inverters, because it can efficiently transfer PV power to utility power (0.96~0.99%). During high-peak hours, the inverter will transfer solar DC power to AC grid power for daily electricity, meantime, the surplus solar power will be used to get compensated from local government or related benefit authority. During off-peak hours, the inverter will come to sleep mode before the sun light appear. Connect your inverter to a battery using a DC installation kit and install the fuse that comes with the kit on the positive battery cable as close to the battery positive as you can. Connect the cables to the inverter first and then to the battery. There may be a small spark when you first make the last connection to the battery, which is perfectly normal ( this is the capacitor powering up). On the AC output side you can simply plug a device directly into the inverter AC outlet. Correct wiring of your battery bank is important. When your batteries are not wired correctly, your system may not work and/or permanent damage could occur. So, always remember that series increases the voltage, and parallel increases the amps. Series is achieved by connecting positive of battery one to negative of battery two. Parallel is achieved by connecting batteries positive to positive & negative to negative. Cable sizing is determined by the size of your inverter. National Electric Code standards are strongly suggested when wiring a system. Recommended sizing is as follows; #4 gauge is not to exceed 157 amps DC (approximately 1500 watts), 1/0 is not to exceed 291 amps (approximately 3500 watts), and 4/0 is not to exceed 454 amps (approximately 5000 watts.) These ratings are based on a 12 volt system. However, for any assistance, you may contact your local distributor from our list of authorised retailers. Low voltage shutdown is 10.5 on all of our inverters. And high voltage shutdown varies between 15-17 volts on all of our inverters. These are 12 volt inverter shutdown voltages. - Generator waveform THD: < 10%. Highly recommend the specification for the diesel generator. 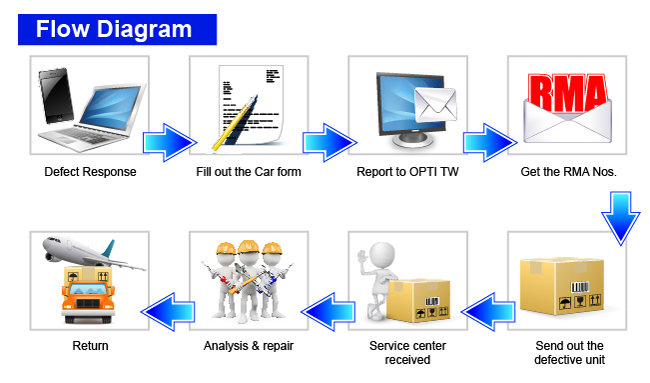 For more information, please email to Service@opti-solar.com.